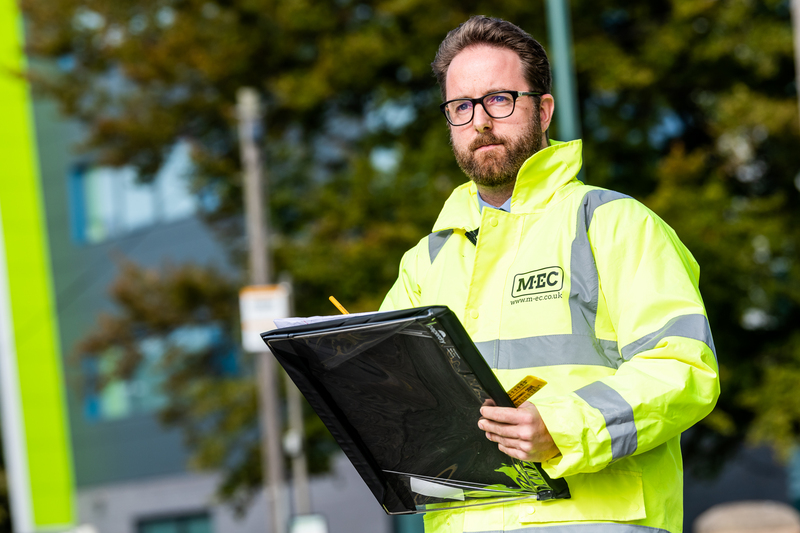 Chris Berry (pictured), associate transport engineer at M-EC, gives his view on the future of inclusive transport and public realm. Since shared space schemes were first introduced, or at least in the format that is widely considered shared space now, they have courted controversy. Lots of people see them as positive, if at times uncomfortable, public realm and pedestrian environment improvements. However, the issue of inclusive mobility – the responsibility placed on designers and local authorities to ensure streets meet the requirements of the Equalities Act 2010 - has been an ever present one. As more and more of these schemes have arisen, the lack of clear, universal guidance has led to a wide variety of interpretations of best practice in design offices and mixed messages on the ground. As a result, in July 2018 the Department for Transport (DfT) published its Inclusive Mobility Strategy and one of the key announcements within this was the recommendation that 'local authorities pause the development of shared space schemes which incorporate a level surface' while the current guidance was reviewed and updated. Whilst this review is undertaken, the existing guidance Local Transport Note 1/11: Shared Space was temporarily withdrawn. While the introduction of new guidance is undoubtedly overdue, understandably the hearts of many a designer, planner and developer across the country skipped a beat at the announcement of a somewhat abrupt blanket 'pause' on all shared space schemes. What this pause allows is a re-focussing on the key responsibility to ensure that, regardless of design, all schemes consider the inclusivity of the finished article. All too often as Road Safety Auditors or when undertaking Walking, Cycling and Horse-Riding Assessments and Reviews, we see schemes that have attempted to embrace the aesthetics of shared space, or what the recent CIHT review of shared space would call 'pedestrian prioritised streets', while ignoring the requirement for inclusivity and the functionality required for all users. Hopefully the new guidance will see an end to the confusing use of a variety of kerb upstands, construction materials and tactile paving that has created barriers, deterring some people from using their local high streets or direct routes to local amenities. Sadly, it may be too optimistic to hope for any new guidance to be forthcoming any time soon. However, much to the relief of many developers, the DfT has issued some clarification of the initial announcement. The follow up statement of 28th September 2018 detailed that the pause 'does not apply to streets within new residential areas, or the redesign of existing residential streets with very low levels of traffic, such as appropriately designed mews and cul-de-sacs, which take into account the relevant aspects of the National Planning Policy Framework (NPPF) and associated guidance'. This clarification was much needed and was warmly welcomed but it is a certainty that Planning Authorities will be taking a much closer look at the design elements of any shared areas, which can only enhance the accessibility of the designs under consideration. Recently we have seen complaints about a lack of pavement areas in residential streets forcing people into the street almost as soon as they leave their house. In the meantime, and on a more positive note while we await the new guidance, one of the actions arising from the new strategy was that the conclusions of a research project to 'review the existing DfT guidance on Tactile Paving and Inclusive Mobility' will be published shortly, with a 'view to expanding or updating them and exploring whether the two sets of documents should be combined'. This means that designers and planners will soon have some additional and enhanced guidance to ensure that projects in the design and pre-planning phases can be more informed and have a greater chance to ensure that they are functional, attractive and most importantly inclusive.